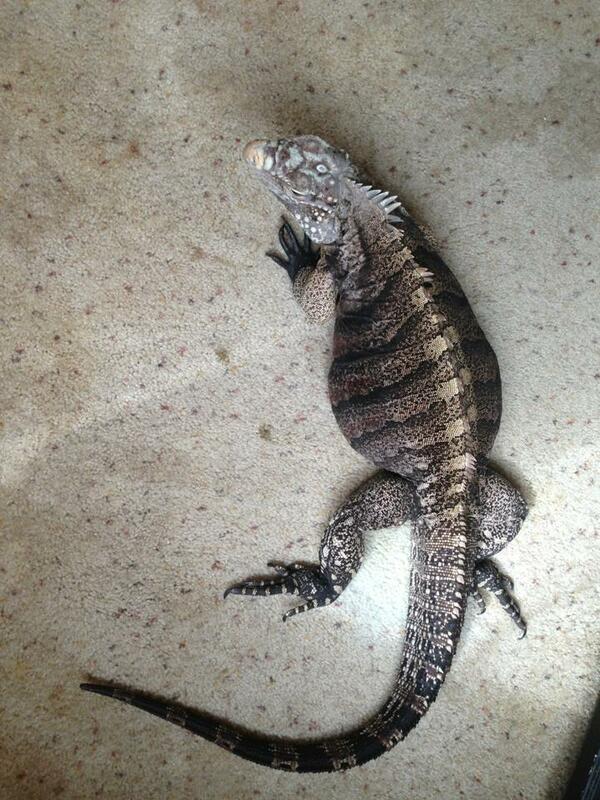 We have 8 Cyclura babies hatched in 2013. We had named them with the Greek alphabet letters for identification purposes. You can take a look at all of them and request a specific animal. 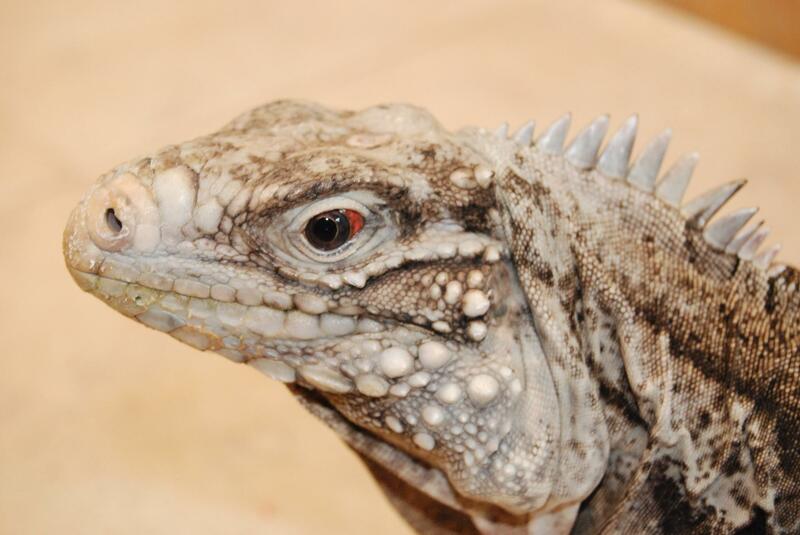 Cyclura babies will be available to the individuals who have abilities to provide proper Rock Iguana care and provide a good permanent home for these special iguanas. 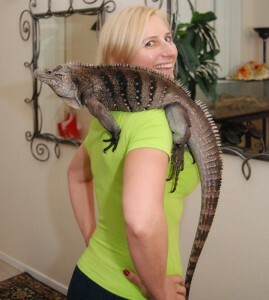 If you think you want an iguana pet for life then you will love Cyclura, just like we do! Babies from this clutch show variations of patterns and colors. 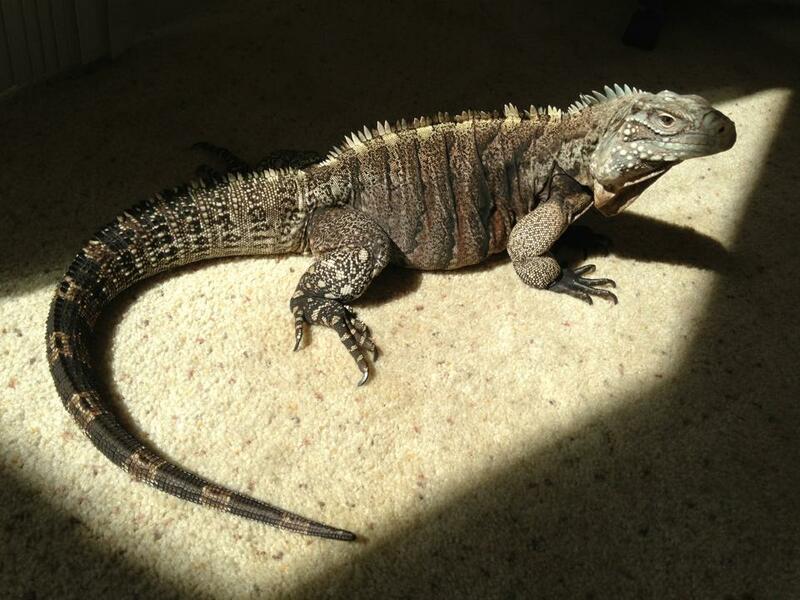 Make sure to click on each name to see photos and description of each Cyclura 2013 baby. The parents of this clutch are male Casanova (2005 Cyclura lewisi hybrid) and female Yasha (2003 Cyclura lewisi hybrid). 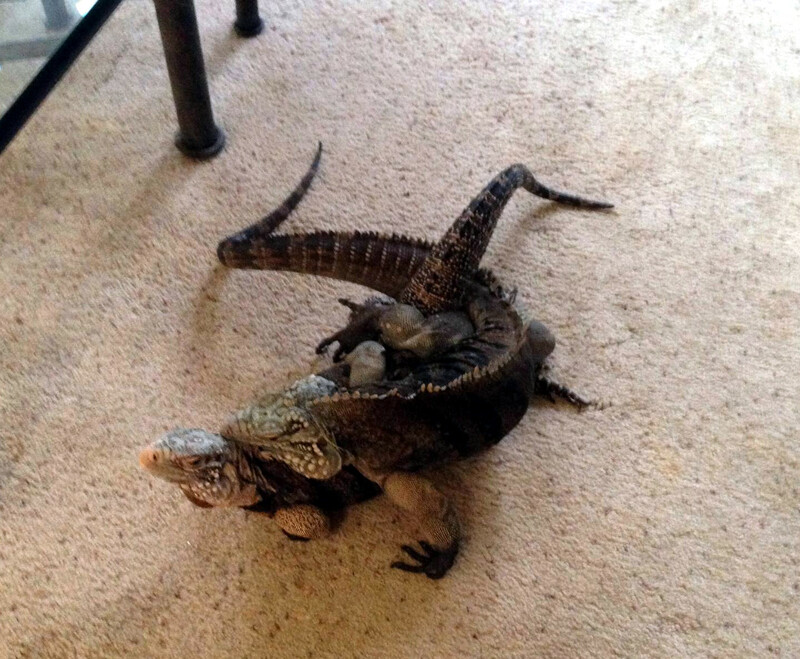 This is their first mating and first hatched babies. 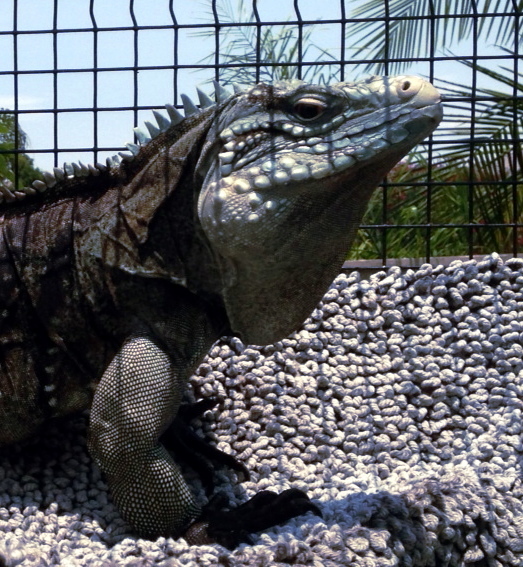 Both parents are very good looking cycluras, tame and excellent pets. We couldn’t be happier and love them dearly. Casanova had been with us since he was only 2 weeks old. He is a healthy, tame and well behaved “dinosaur puppy”. 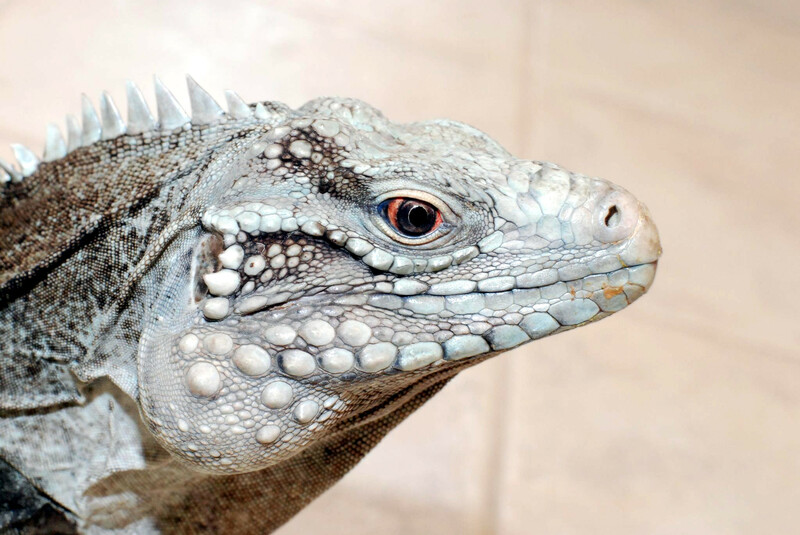 His features are very characteristic and consistent with Cyclura Lewisi and he displays vibrant blue colors, especially when he is in mating season. He also gets more blue with each year and each shed. He is still growing and maturing. Right now he is over 8lbs and about 4ft. We acquired Yasha when she was 9 months old and she was the first cyclura that we ever owned. From the young age she was very tame and very consistent in her behavior. She is absolutely the most friendly and reliable Rock Iguana pet. 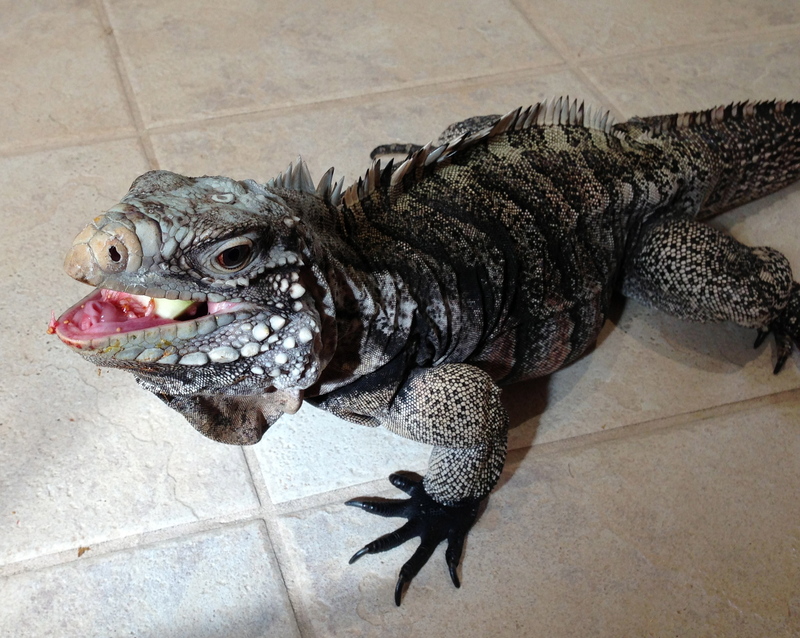 Her certificate of purchase says lewisi hybrid, she shows some blue and some cuban (cyclura nubila) features. Her body shape and the long spikes are more nubila features including variety of colors of browns, ivory, yellows and reddish on her belly. 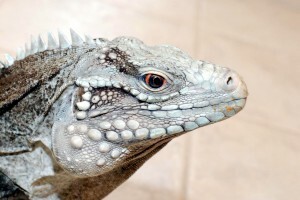 Yasha also shows blue colors from lewisi on the top of her head, neck and spikes. Overall she has many colorations all over the body and is a very beautiful Rock Iguana female. She is still growing and maturing. Right now she is over 7lbs and about 3.5ft. 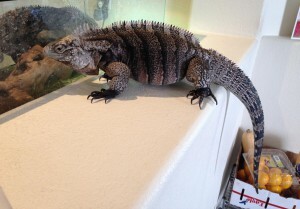 Yasha puffing and showing off her size. Spring 2013.